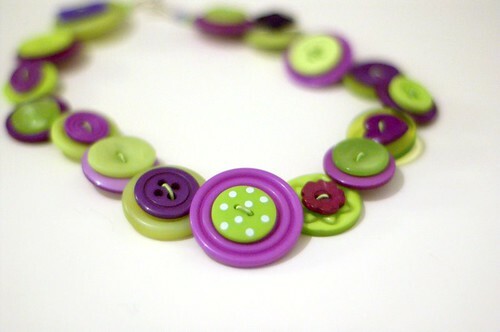 My purple and lime button necklace (shown above), which I love beyond reason, and came from Noodlefish. How to squeeze decent photos out of an iPhone. Opera Fingertouch (which isn't as rude as it sounds). The beautiful and moving Rebuilding the man. The combination of Moroccan Mint tea (Green tea and Mint) and Rage Against The Machine turned up loud. It had a most intriguing effect on my design brain.